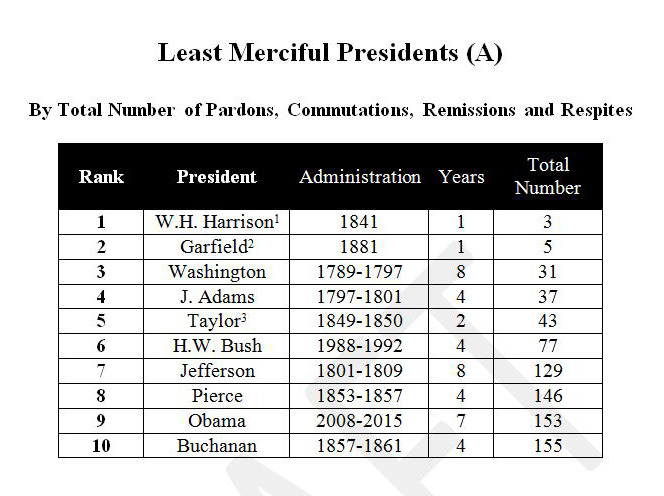 With today's announcement of 46 commutations of sentence, the most granted by a president in a single day since July 26, 1935, President Obama has blazed past Franklin Pierce into the number 9 spot for least merciful presidents in history. This page was visited by the Executive Office of the President of the United States on March 31 and April 1 of 2016. Do we have a version of that chart adjusted for US population at the time? 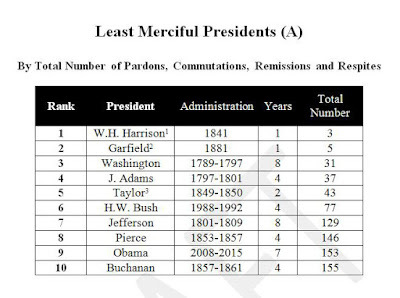 Washington's rank looks pretty incomparable to the modern ones.